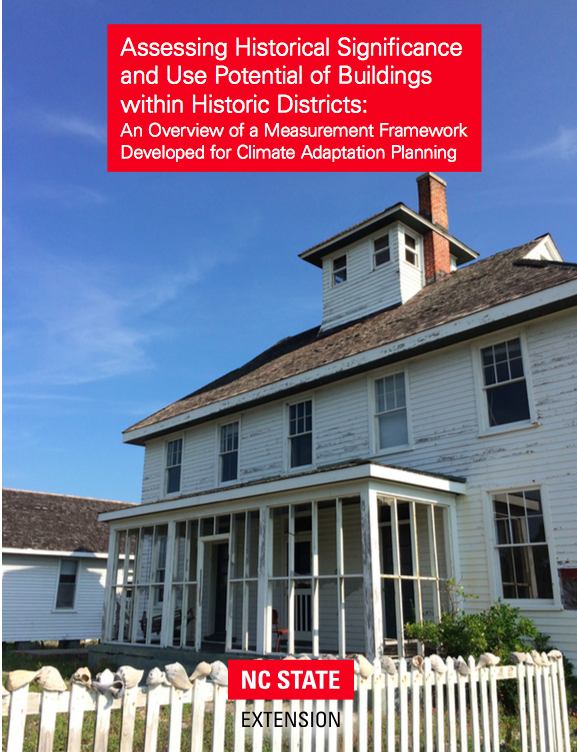 The tool (framework) is intended to help managers deal with one aspect of historic preservation planning efforts: evaluating and assessing the relative historical significance and use potential of historic buildings. In this publication we (1) present an overview of the process we used to develop the measurement framework and (2) describe how the framework can be used as a guide for measuring the historical significance and use potential of buildings. Ongoing collaboration with USGS researchers will further result in a decision support tool that combines the data from this framework with (1) data on the vulnerability of the buildings to future flooding from storm surge and sea level rise and (2) cost estimates for different types of adaptation strategies (such as elevating or moving buildings). Ultimately, the combined efforts can inform climate change planning efforts that seek to maximize cultural heritage preservation.